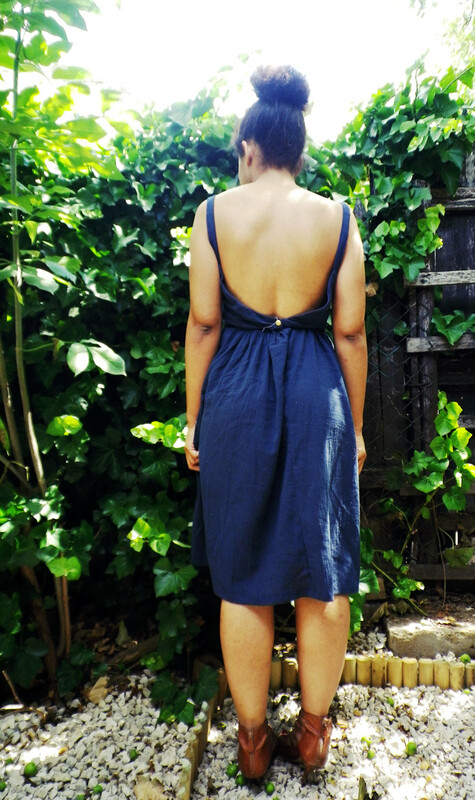 Drumrolls please…Here is the backless dress that I wrote about previously. I bought this fabric to make harem pants out of it, but changed my mind and used a very simple pattern from Burda to make a dress instead. 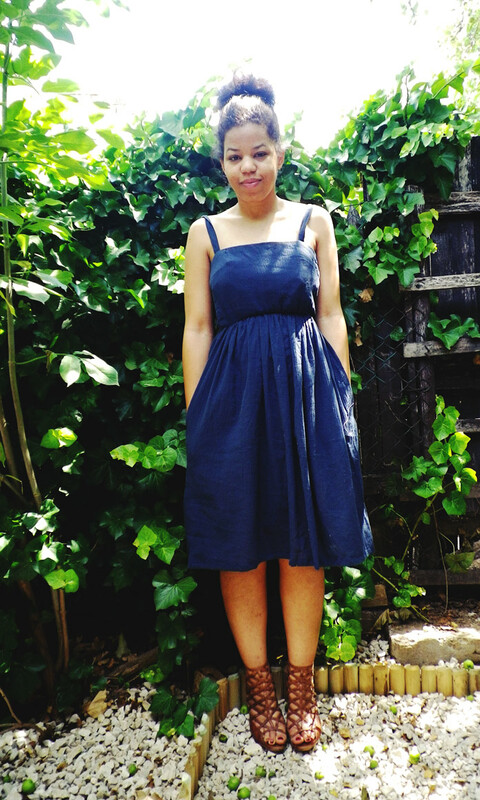 As I was playing around with the fastenings (the zipper broke the moment I finished inserting it) I realized that it was too dull the way it was, so I cut triangles out of the back part and made it into a backless dress. inserted an elastic waistband and a button holds the whole thing tight on my back. Next What a bag-blog I found! wow! that dress is gorgeous! love it!